Please find below a selected list of books and surveys covering some of the most recent advances in the current systemic risk literature. Berger N., P. Molyneux, and J. Wilson, (2014), The Oxford Handbook of Banking, 2nd Edition. Oxford University Press, 1040 pages. 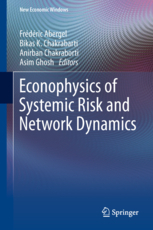 Abergel F., B. Chakrabarti, A. Chakraborti and A. Ghosh, (2013), Econophysics of Systemic Risk and Network Dynamics. Springer, 298 pages. Becker E., C. Rostásy and H. Willke, (2013), Systemic Risk: The Myth of Rational Finance and the Crisis of Democracy. Campus, 282 pages. Fouque J.-P. and J. Langsam, (2013), Handbook on Systemic Risk. Cambridge University Press, 992 pages. Friedman J. and W. Kraus, (2011), Engineering the Financial Crisis: Systemic Risk and the Failure of Regulation. University of Pennsylvania Press, 224 pages. Gai P., (2013), Systemic Risk: The Dynamics of Modern Financial Systems. Oxford University Press, 200 pages. Haubrich J. and A. Lo, (2013), Quantifying Systemic Risk. University of Chicago Press, 400 pages. Hildebrand P., (2016), Systemic Risk and Financial Regulation: Where Do We Stand?. Edited by Blanchard O., R. G. Rajan, K. S. Rogoff and L. H. Summers in Progress and Confusion: The State of Macroeconomic Policy, MIT Press, 312 pages. Hufeld F., R.S.J. 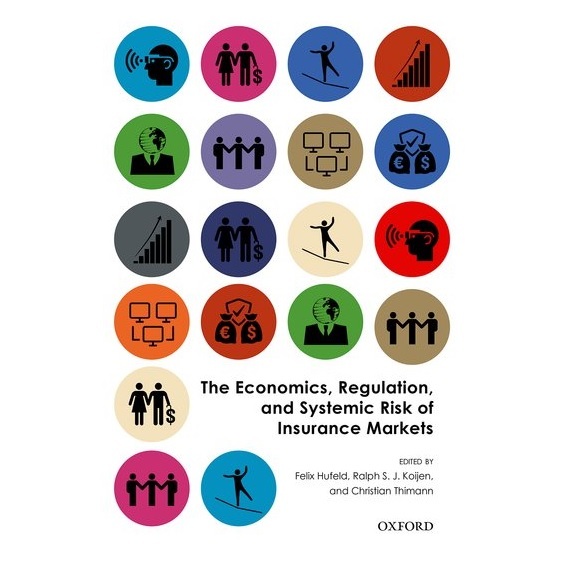 Koijen, and C. Thimann, (2016), The Economics, Regulation, and Systemic Risk of Insurance Markets. Oxford University Press, 256 pages. 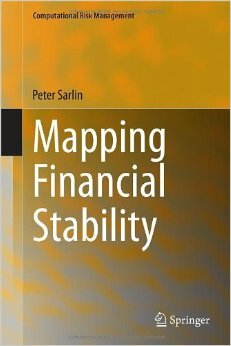 Sarlin P., (2014), Mapping Financial Stability, Springer, 233 pages. Shefrin H., (2016), Behavioral Dimension of Systemic Risk. In Behavioral Risk Management : Managing the Psychology That Drives Decisions and Influences Operational Risk, Palgrave Macmillan US, 518 pages. Volcker P.A., (2016), A Note from the Session on Systemic Risk and Financial Regulation. Edited by Blanchard O., R. G. Rajan, K. S. Rogoff and L. H. Summers in Progress and Confusion: The State of Macroeconomic Policy, MIT Press, 312 pages. Benoit S., J-E. Colliard, C. Hurlin and C. Perignon, (2015), “Where the Risks Lie: A Survey on Systemic Risk”, HEC Paris Research Paper No. FIN-2015-1088 , 57 pages. Bisias D., M. Flood, A. Lo and S. Valavanis, (2012), “A Survey of Systemic Risk Analytics”, Working Paper #0001, Office of Financial Research, 165 pages. de Bandt O. and P. Hartmann, (2000), "Systemic Risk: A Survey", ECB Working Paper #35, 77 pages. Zigrand J-P., (2014), “Systems and Systemic Risk in Finance and Economics”, SRC Special Paper #1, 77 pages. This website is provided for information purposes only and does not constitute a recommendation, invitation or offer to buy or sell any product. It is distributed under a BSD style license. Furthermore, any opinions expressed on documents published on this website (mainly working or opinion papers and academic articles in peer-referee journals) belong only to its authors and do not necessarily reflect the views of their employers. In any case, the usual disclaimers apply.